The PV-AC20HDWI looks like your everyday AC adapter, but it's actually a high-grade covert camera with a built-in DVR & motion activation! Operation is as simple as inserting the SD card, plugging the unit into an electrical outlet and the PV-AC20HDWI will start recording as soon as motion is detected. Since the camera runs off AC power, no batteries are necessary! 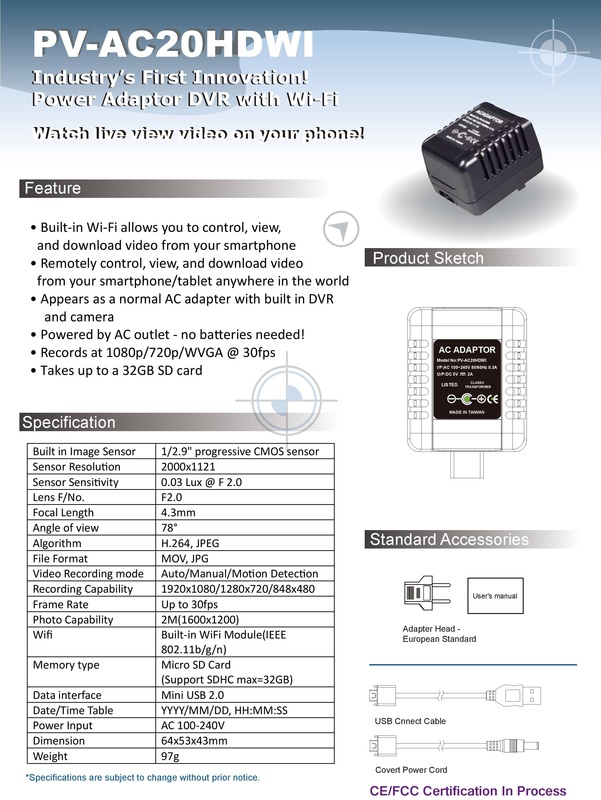 The PV-AC20HDWI is an upgrade on the PV-AC20FHD 1080p camera, now featuring WiFi & IP capabilites. Download the app on your iOS/Android device & access your camera's data/settings as well as a live stream anywhere! The mini camera is located towards the bottom of the label centered right between the positive (+) and negative (-) symbols. 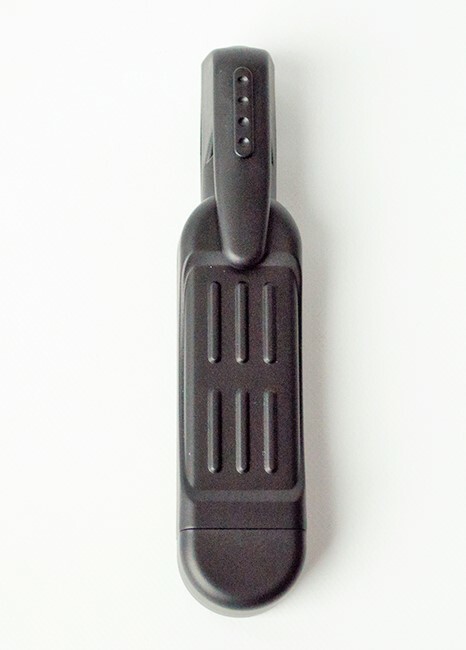 The displayed shipping price is for '1' 1080P WiFi IP Wall Power Charger Recorder Covert HD Camera DVR. To find the shipping cost for all your items, please view your cart.